Tonight, though, I knew it was use it or lose it. Those bargain avocados would go to waste (and that’s no bargain) if I didn’t get my guac on. 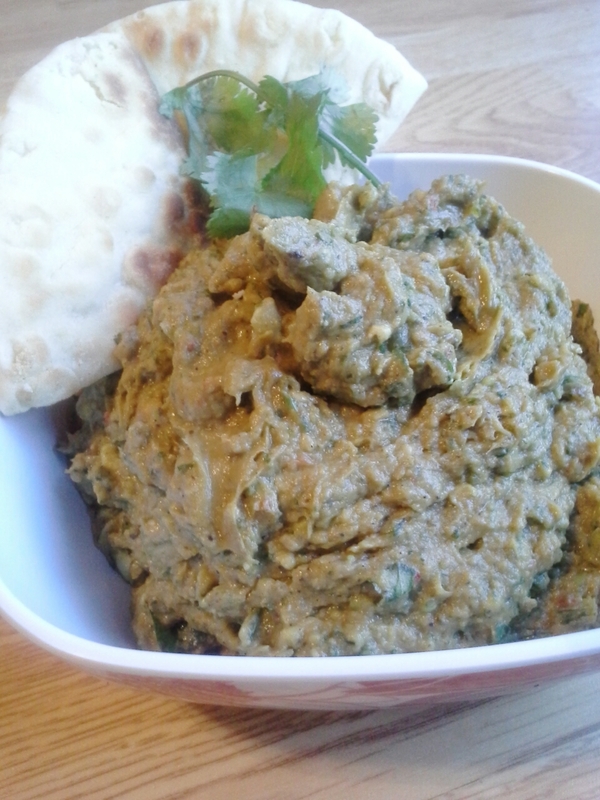 Or maybe my chickpea spread on? Then again, a friend had recently explained how she roasts peppers, onion, and tomatoes for her guac–maybe I should go that route? Things were getting mighty confusing. So I did what home cooks have long done: I made it up as I went along. First the roasted veggies. I really wanted to try my friend Kathleen’s method of roasting veggies–garlic included–before mixing them into the avocado. I grabbed what I had in the fridge–half a tomato, two small sweet yellow chiles, an already diced and seeded jalapeno, one-fourth of a red onion–and laid it all on a baking stone. Spritzed generously with olive oil and sprinkled with coarse salt, they roasted at 450°F alongside a foil packet of an oil-rubbed garlic clove. Meanwhile, I pureed two of the über-ripe avocado along with the half-can chickpeas I had on hand. Also tossed in the mix was another clove of garlic as I wanted its raw bite as well as the roasty sweetness that would come from the roasted clove. Just for kicks I added a few sprigs of leftover parsley along with a generous handful of cilantro leaves and stems. Next up was the juice of two small limes (2ish tablespoons, but just guessing) and a stick blender took care of the rest. 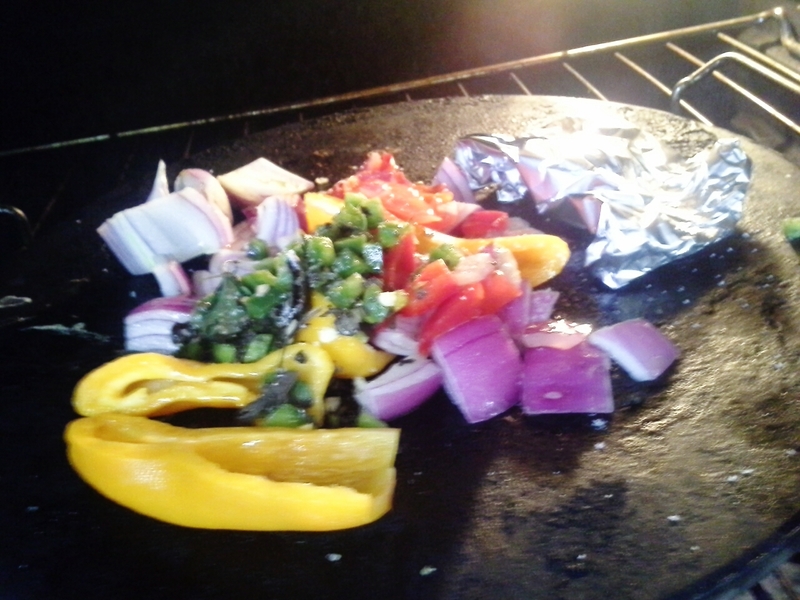 veggies after roasting–don’t they smell good? I added them to the avocado-chickpea puree along with another 2 or so tablespoons lime juice and blended them into a smooth of a paste as possible. A fan of chunky guacamole, I rough-chopped the final two avocados and gently stirred/mashed the cubes into the other ingredients along with another 2 or 3 tablespoons minced fresh cilantro. Lots of freshly cracked pepper and coarse salt followed. A taste test suggested I needed a bit more bite and plenty more heat, so in went two additional cloves minced garlic and a generous pinch (just shy of 1/4 teaspoon?) cayenne. 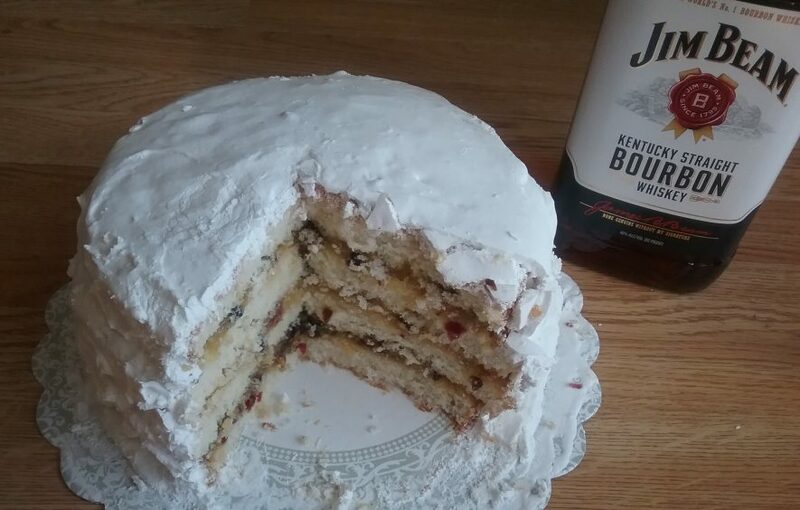 The resulting mixture was hard to define. Guacamole, maybe, but what were chickpeas doing in there? Certainly not a hummus: the texture was more spread than dip. 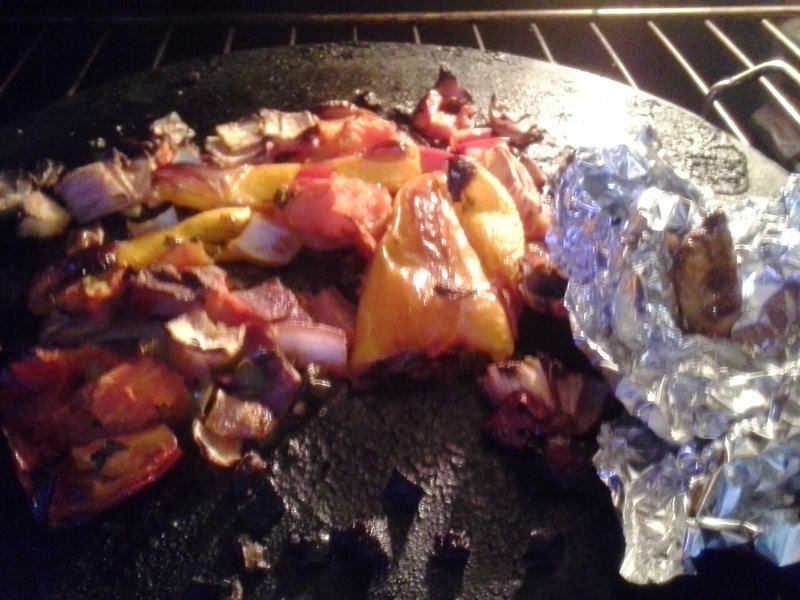 And the roasted veggies added an earthy sweetness not found in guacamole or hummus. The good news? Definition not required to enjoy this–or any other–dish. A savory and delicious combination of recipes, tips, and tricks, it’s proof that you don’t always have to know where you’re going when you cook. defying definition, but tastes so good!